Packaging - nice, heavy, quality. Very nice. Ease – It was very easy to use, nothing tricky, lid was easy to open and close. It made me feel good. Not only was the fragrance yummy, my skin felt hydrated but not oily each morning, even after washing my face it didn't feel dry, it had a supple feeling to it. After two weeks of using it I found my oil in my skin was controlled better as I usually wake up with oily skin in the morning. Quenched my skins thirst perfectly & effectively!! "Wow!!" Nivea Q10 night cream comes in a 50 ml blue jar, with a screw top lid, with a seal, that prevents contamination, before opening the jar!! Being a 53 yr old woman, with dry skin, I applied this thick, off white cream to my face, after my nightly cleansing routine. I began the application, taking notice of the refreshing & pleasant scent, as my face gratefully, & happily absorbed this moisture rich cream!! This is definitely a great anti-aging cream that I would definitely recommend to my friends and family too!! One thing to be careful of while applying this cream, is to make sure that you avoid the eyes at all times. t-zone) ... Only apply it to the driest parts of your face. That way you won't have a film left over after applying the cream. Aging skin, with fine lines. And, women that want to see a radiant looking face, without that dullness look & tight feeling face!! (in my opinion) & experience, after using this product for 2 full weeks!! So this is the night equivalent of the day cream, and I depend on it to even out my skin and get rid of circles and whatnot. It is a little pricey, and it comes in a jar which means that it can grow bacteria and other stuff that isn't good for the face. MY face feels super soft and supple in the morning, but I'm not sure how it performs in terms of anti wrinkling as I haven't seen any differences. When I started my skin care journey, this was one one the first among many Nivea products I bought. This cream is very affordable and can usually be purchased as 50% off. It comes in an expensive looking blue jar and is a rich thick cream. The cream is scented and the only description for the scent is the characteristic Nivea scent. I have never experienced any adverse effects using this cream. It truly does its job as a moisturiser. Overall, I like this cream very much and I highly recommend it. Use a little as it is a very rich cream. I got this on sale half price as wanted to try it after hearing good things about it. Love the packaging it comes in a little easy to use compact blue tub. The cream is thick in texture so you don't need a lot as a little goes a long way. It is rich has that typical classic smell which I love. It moisturises your skin well but I wouldn't say it absorbs in very well as when I wake up I can still feel it on my skin. Since using this the past month or so I have noticed my fine lines on my forehead are less prominent so I am hoping with longer use it continues!! My skin is also much smoother since using it. So far so good! This moisturizer is a great last step to a night time skin care routine. It is a thick cream with a classic nivea scent. I use this cream on the fine lines around my eyes and while I haven't noticed any reduction in those lines, it moisturizes the area really well, and reduces any dry patches. I would recommend this cream to anyone with dry or combination skin, as even if you do not have wrinkles, you can benefit from preventative action. I started noticing a few frown marks on my forehead and freaked out a little. Started researching a bit online & saw the nivea q10 & thought id give it a go. I apply it on my face & neck every night after cleansing. Its very thick so you really don't need to apply much. I love the smell & i really feel like the creases on my forehead are starting to fade a little. Nivea Q10 night cream is in a cute little blue pot with a sleek smooth lid and base. When first opened it, the smell was so overwhelming- It wasn't bad but it was quite strong. When I applied it for the first time, it stung the face a bit and I got a bit in my eye which stung so bad! It really smoothed out my skin after a few uses but you can get that with less fragranced and stinging creams. I really enjoy putting this on after a long day, it smells so nice and really does sink into the skin and give it that extra clean, moisturised feeling that everyone loves! its not too heavy of a moisturiser for me, it seems perfect for every night use, however i would never use it for day moisturiser! the only thing im not 100% about is that it has had absolutely no effect on my fine lines on my face, although i didnt expect a cream of this $ figure to do so anyway so i wasnt too fussed! definitely only use at night time for that extra boost of moisturising! it is NOT a day cream! 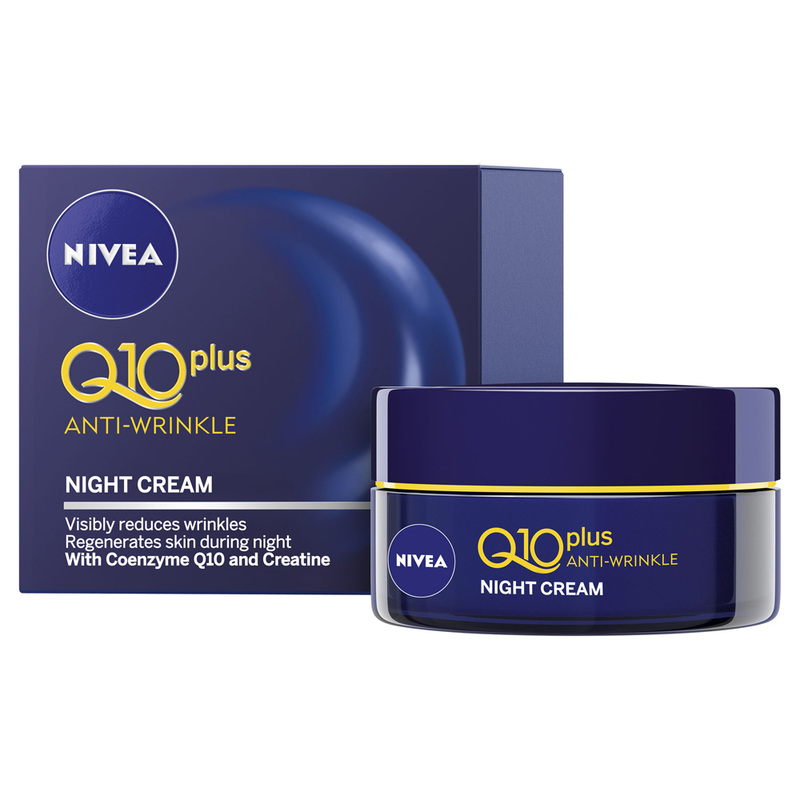 I love the thick, creaminess of NIVEA Q10 Plus Anti-Wrinkle Night Cream but I find I can only use it during Winter when my skin feel really dry. If I use this product in Summer my skin breaks out because of its richness. However, it really brings my skin on my neck, face and décolletage back to life in Winter. It is lightly scented and comes in glass jar that can be repurposed. My only complaint is that because I have naturally, long nails, the product does get under my nails but perhaps it is doing them good too. The pale yellow cream is very thick and for a night cream rubs in and absorbs surprisingly well. It is very rich and nourishing, perfect for my dry-normal skin. It leaves no sticky residue and your skin still feels like it can breathe. It has that characteristic Nivea fragrance, although it is much milder in this product than some of their other creams I have. No complaints really. This night cream is thick and rich and has a pleasant but subtle smell. It glides on easily on my face and absorb well into my skin. In the morning my skin feels and looks fresh, vibrant and hydrated. I only have minor wrinkles around my eyes but I believe this night cream has prevented me from getting more wrinkles. I like the look of the tub however I usually don't like tubs as I don't think they are very hygienic. I also don't like how it's glass as it's heavy and I have dropped it a couple of times but luckily it didn't crack my tiles. Love this. leaves my skin feeling soft and smelling great! I really love Nivea, and have been a firm believer in it for years. So I was generally quite excited to try this.. I'm 23 so I'm starting to use anti-wrinkle creams just to slow down aging and to help with fine lines. At first when I opened it, I thought maybe it was going to be too thick because I have really oily skin. Pleasantly surprised actually that even tho it feels like it takes a while to absorb by the time I wake up my skin feels smooth and supple. Not to sure about the anti-wrinkle properties because I haven't really seen any changes to some of my fine lines and dark spots under my eyes. Also, I've read a lot of people comment on the overpowering smell, but I really love it. Traditional Nivea smell and it's fantastic! I have the day cream as well and find that both work pretty well together. Would definitely buy it again! Go easy on it, it's thick! so using a lot will definitely leave a greasy feel. All skin types.. I have greasy skin and it works well. Smell is pleasant enough but the formula is quite rich and left my skin feeling greasy (combo skin over here) as it didn't absorb or sink in. Only used this for about 2 days because I ran out of my moisturiser and broke out in a few pimples. I would not buy for myself. My mum uses it daily and likes it but she never gets break outs so maybe this is not suited to those who are acne-prone. This 50 ml jar of cream comes in a small blue screw top container and the first thing that always occurs to be with screw top jars is just that it's hard to keep things hygienic, but on the upside, you'd never waste a drop! This seems like quite a thick cream in the jar, but spreads easily. While I find that this works quite well at a night cream, I don't think it adds all that much to my routine. It has quite a pleasant cold cream scent that doesn't stay around, and this also gets absorbed quite easily. It hasn't caused any problems for my normal skin, and my eczema hasn't flared up at all. The night cream comes boxed. The night cream 50ml comes in a round royal blue glass jar with a plastic screw on lid. It is foil sealed for freshness. The night cream is a moisturiser for face and neck. The formula is suitable for sensitive skin. Used regularly it can help visibly reduce the appearance of wrinkles. Apparently skin is more receptive to moisture intake during the night, a night cream is beneficial to use. Being in my late 40's an anti ageing night cream is essential. The night cream is used after cleansing and toning skin. The cream is off white in colour with a thick consistency. Texture is smooth, creamy and rich. The fragrance is powder soft and fresh, it smells nice. To apply the cream smooth and spread over skin, feels luxurious and is pliable. Gently massage so the cream can start to penetrate skin layers. Its very sumptuous and doesn't fully absorb, it leaves a protective moisture barrier over skin. Its not greasy but does feel smooth, slick and slippery until it settles and penetrates skin layers. I have combination skin and even though the cream is rich it doesn't leave my skin creases oily. The night cream regenerates during the night, gives skin a new lease on life the following day. I like the night cream, it nourishes, hydrates, softens and smooths skin, skin feels conditioned and moisturised, ready for the day. I received the night cream in a Nivea prize pack from BH, thank you Beauty Heaven. I was so lucky to win this product, I absolutely LOVE Nivea! This smells beautiful, like the original Nivea smell. It has a lovely and rich texture, it is so moisturising! I have somewhat dry sensitive skin, and I found this beautiful luxurious product perfect for my skins needs. This cream comes in jar packing, so it can also be contaminated.The cream has thick and silky texture similar to Nivea soft cream. The smell of both creams are also almost same. The cream is rich and small amount is enough for face and neck, while it does not absorb easily. A thin greasy layer can be feel after using it, but it is a night cream so it does not matter. After few days of using it I felt that dry areas of my face were well hydrated but T zone and cheeks were too much greasy. I saw little pimples on my cheeks, then I stoped using it on my oily areas of my face. I just used it on dry areas around mouth and eyes. I did not feel any difference in my skin after using it for weeks. although I do not have wrinkles but I was expecting well hydrated glowing skin. My skin was still dehydrated and dull even for months of using it on my dry areas of face. I love this night cream! It is super rich and moisturizing for my skin and leaves it smooth and supple for hours. I'm not too sure about it's anti-winkle claims but it's a top night moisturizer and that's the reason why I use it! Share your tip to win!  Win everything trialled in May! Looking for a new anti-ageing range? This might just be it. Brought to you by beautyheaven.com.au. Oh my, is that a wrinkle I spy? Got a skin care concern? Our NIVEA experts have the answers!